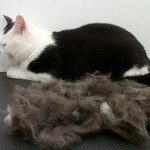 Grooming has many benefits, these include helping to promote healthy skin and fur as well as removing loose hair, thus preventing hair balls and matting. 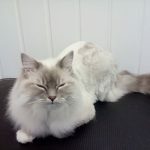 Whilst the majority of cats take very good care of their fur and require minimal grooming, there are some that need professional assistance. This is where Buddies come in handy. 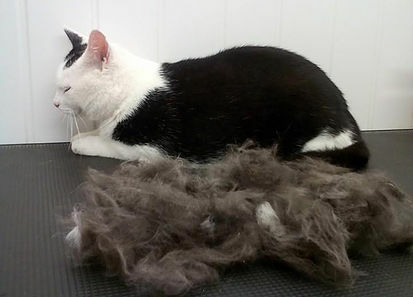 We have a dedicated “Cat Cubicle” where we can safely groom your cats away from any dogs within the centre. 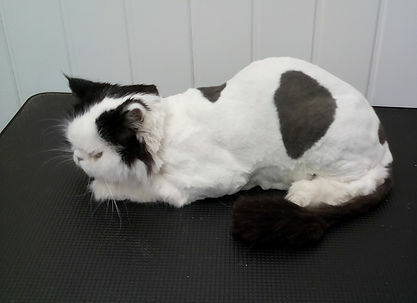 Each cat is cared for by two groomers; please bear this in mind if you need to cancel or rearrange your appointment. 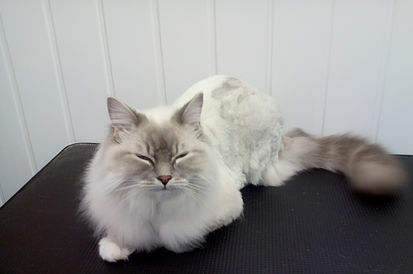 Whether your cat needs his/her nails trimmed or requires a full clip, we will always try our best to meet your needs. Please contact us to discuss further. Prices vary depending on the individual. Please note: If your cat becomes stressed or agitated during grooming, we will suspend the session and request immediate collection to prevent further upset. Most cats dislike water! 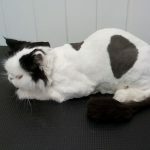 We use special cat shampoo which is massaged in and groomed through the coat. Why not get in touch to make an appointment?